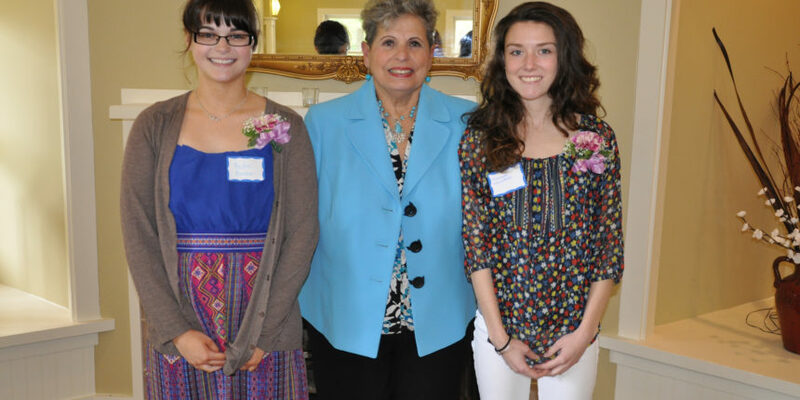 The Guild presented three $1,000 scholarship awards to area high school seniors during its annual Scholarship Luncheon held May 22 at Bay Pointe Country Club in Buzzards Bay. The awards were presented by Josephine Praino, Scholarship Chair for the Tobey Hospital Guild. Rachel Bordieri, a graduate of Upper Cape Cod Regional High School, will attend Fitchburg State University to pursue a career in nursing. Hannah Hayward, a graduate of Wareham High School, will attend Emmanuel College as a pre-med student. Leah Thomas, a graduate of Old Rochester Regional High School, will attend Northeastern University as a pre-med student.